I RECENTLY RECEIVED a media release from a solar power distributor, with an idea aimed at grey nomads. The release assumes most grey nomads travel around 45 weeks every year using little or no electricity while they are away, and condones feeding the electricity from their solar panels back into the grid. Denyse and I had a 1.5kW system installed while we were away a couple of months ago and for us, it is a winner. Our system has an Australian made inverter (1.6kW) and quality panels installed to category 4 cyclone rating (the specified rating for Mackay), at a total cost of $2500 with the Federal Government rebate available at that time. The inverter has a 10 year warranty, the panels have a 25 year warranty. 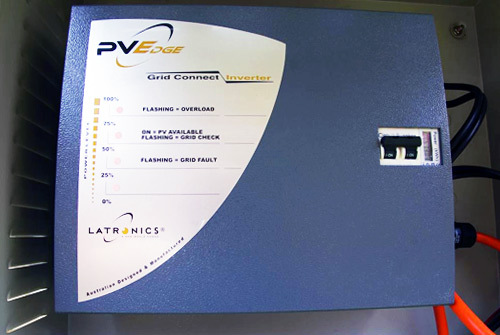 We are already hearing stories of failure of poorer quality inverters that are less than two years old, and this is an issue with a short warranty period, as they cost thousands of dollars to replace. 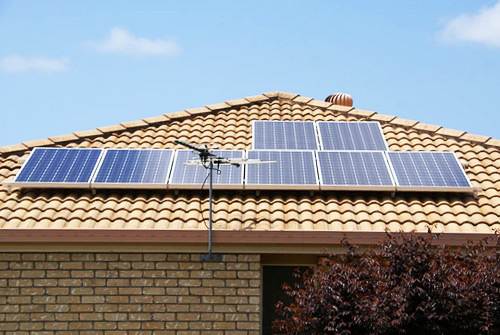 The feed-in tariff in Qld is 44c per kW, which is one of the highest rates in Australia. Simply put, this is what we get paid for any electricity we feed into the grid. Bear in mind that any electricity generated is first directed to use in the home, and it is only excess power that goes into the grid and earns the feed-in tariff. As the price of power increases over the years, the savings made by using your own power will obviously increase. We are away writing travel articles for Caravan World for approximately 6 months each year, and I estimate we will have the system paid for within 3-4 years through savings on our electricity bills. Now, however, the federal government rebate on installation of panels has decreased, so the initial costs are higher. An advertisement in our newspaper today lists a 1.5kW system from $3000 installed with inferior panels and inverter (plus only 5 years warranty), to a better quality system for $5000. Obviously you get what you pay for. You also have to look at your lifespan. If you are 70 now, will you still be travelling 6 months a year in ten years? Will you be living in your home for the expected 25-year life of the solar panels? If you put in a larger system, how long will it take you to pay it off? Will the income at 44c per kW in Qld (less in most other states) still carry on for a long period? You might find investing your money over this period to be a better option.